I remember the first time I attempted making beans a few years ago, with emphasis on "attempted." I had just moved into a new apartment and I was unpacking boxes in the kitchen. A few months previous, I had bought a bag of dried black beans with the intention of trying to make them, but I never got around to actually doing it. So pulling them out of a box, and having the day off with the apartment to myself, I decided that that day would be the day. So I washed the beans, emptied the bag into a pot of water, and started cooking them. Now it was a good thing I had the day off, because it was taking forever. 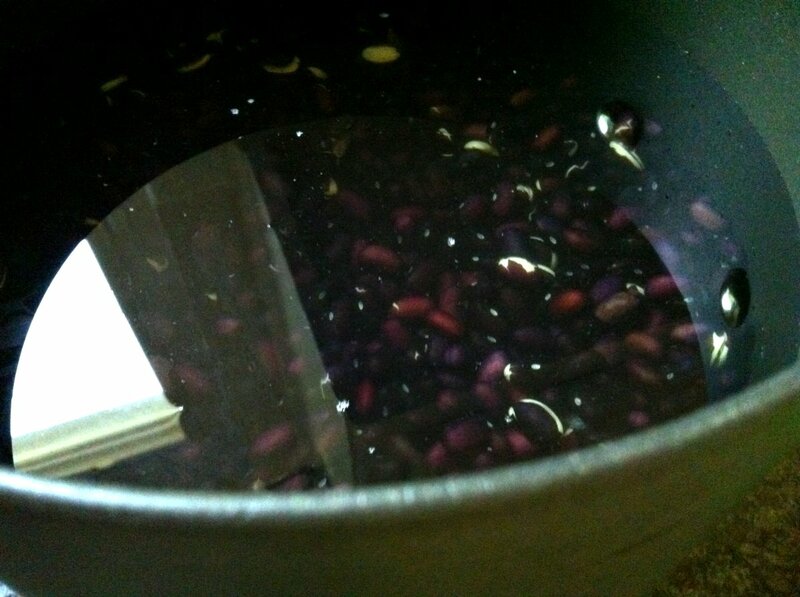 After an hour of rapid boiling, the beans were quickly losing their color but still far from soft. And the foam on top kept spilling over onto the burner, resulting in a wonderfully appetizing aroma to pair with my greyish, far from al dente, beans. I had done everything I was supposed to, right? I generously salted the water, put enough water to just cover the beans, and I was boiling the hell out of them. Check, check, and check. What was I doing wrong? 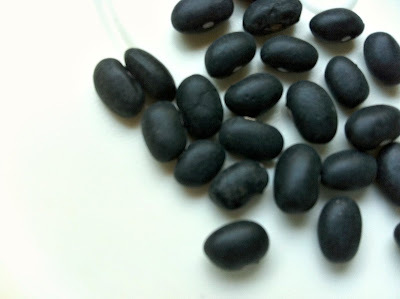 After that first "attempt," and a few more that were progressively less disastrous, I came to understand some tricks and basic guidelines to help better one's chances of success with cooking beans. And upon the suggestion of Lauren, a coworker at The Steeping Room, and fellow GFDF canary, I'm now sharing them with you. In full circle fashion, I'll be showing you with black beans. Check the date when the beans were packaged or the "best used by date." If buying in bulk, perhaps a store employee may be able to find out when the beans were received. Also, pay attention to the area where they are being stored/stocked (e.g., is it clean? dry? cool temperature?) and note the overall appearance of the beans. 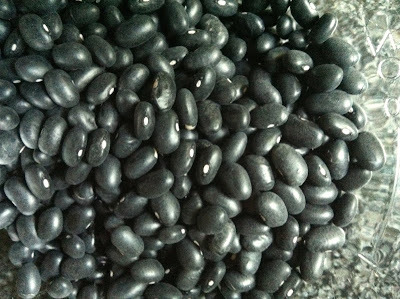 If you have quality dried beans to begin with, chances are much better that you'll end up with quality cooked beans. 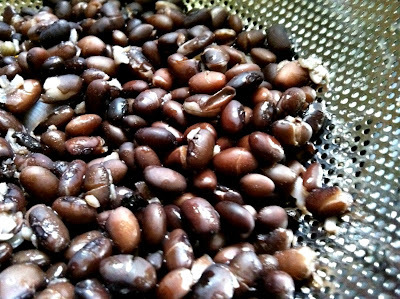 While smaller beans, like lentils or mung beans, don't require soaking before cooking, larger beans, like cannelini, garbanzo, or black beans, definitely benefit from a good long soak. And you'll benefit, too, in terms of nutritional bang for your buck. This is a very important step and well worth the extra time. After sorting the beans to remove any shriveled beans or stones, give them a good rinse and then cover them with water to soak. This step not only reduces the cooking time significantly (saving energy to boot), but it also helps the beans to cook more evenly with better texture. 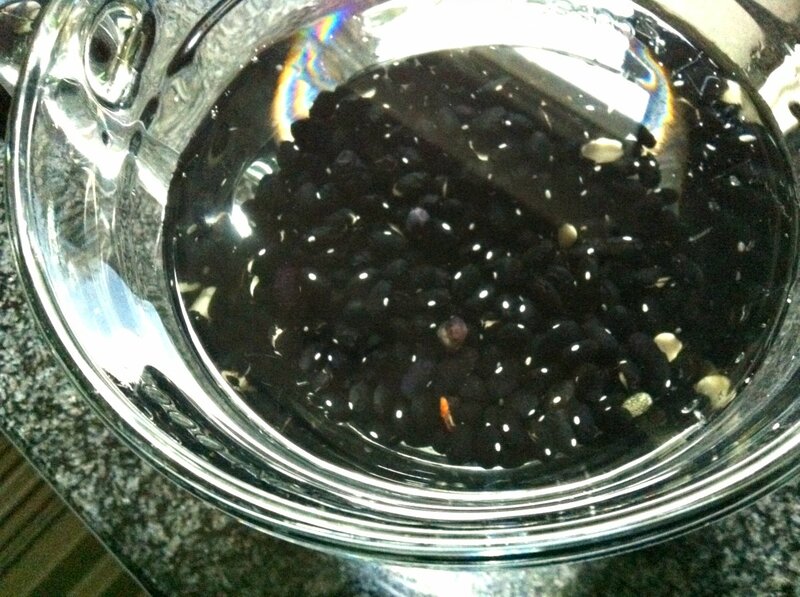 Use 4 times as much plain, cold, filtered water as beans. For example, for 1 cup of dried beans use 4 cups of water for soaking. Allow to soak overnight (at least 8 hours) in a cool, dry, place. If your kitchen is warm, or you don't get around to cooking them right away (happens to me all the time), place the soaking beans in the refrigerator for up to 24 more hours. After soaking beans, they should have at least doubled in size. Drain off the soaking water, transfer the beans to a saucepan, and cover with at least 2 times the amount of fresh, cold, filtered water. For example, 1 cup of dried beans will now be approximately 2 cups in volume, so use 4 cups of water. 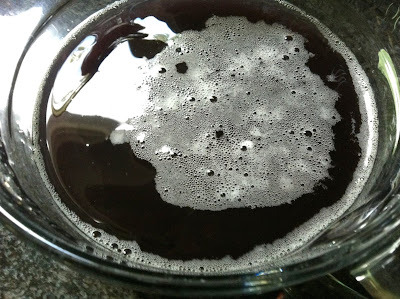 Bring water to a boil for 2-3 minutes and then reduce to a simmer, skimming the scum that will collect on the surface. This scum results from the breakdown of enzyme inhibitors and phytic acid within the beans, which would otherwise make them hard to digest and produce flatulence (aka the reason Beano was invented). So unless you're prepared to light a lot matches, skim it off. Does it look like it's looking at you, too? It is important that you avoid salting the water for cooking the beans. While it makes the water boil faster, it will conversely increase cooking time and toughen the beans. Alternatives for adding flavor include using an unsalted stock instead of water, adding bay leaves, peppercorns, smashed cloves of garlic, onion wedges, or vinegar. I used all of these in the picture above. If you do salt, wait until beans are nearly finished cooking before doing so. 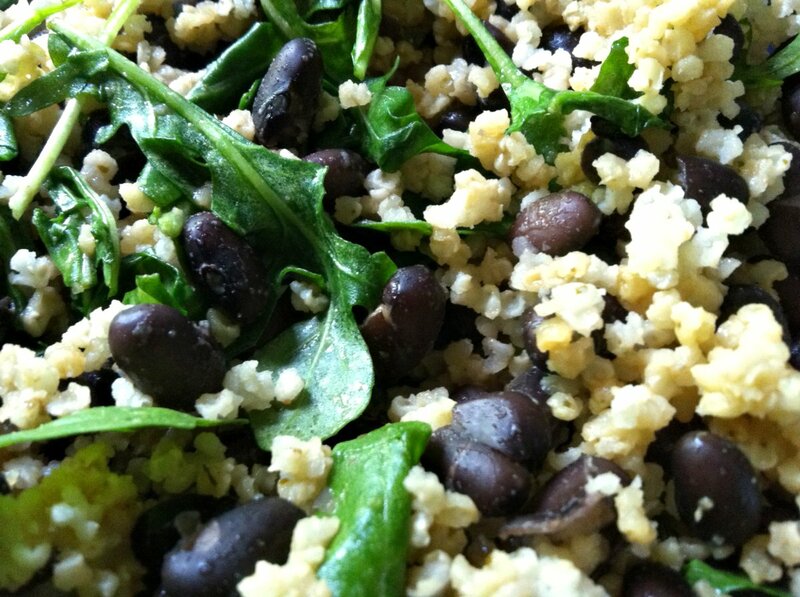 Cooking time will vary from bean to bean, and even using the same bean, from batch to batch. Here's a great chart that breaks down approximate cooking times by bean type and cooking method so you at least have an idea of what you're in for. There's no need to hover over the beans, but every 10-20 minutes give the beans a stir, take one out and give it a test. While I don't prefer al dente beans, I also would like to avoid mushy beans, so periodic checking is good. Some people cut the bean in half to see if it's a uniform color/texture, others smush it between the fingers. Call me old-fashioned, but I just eat one. From start to finish. 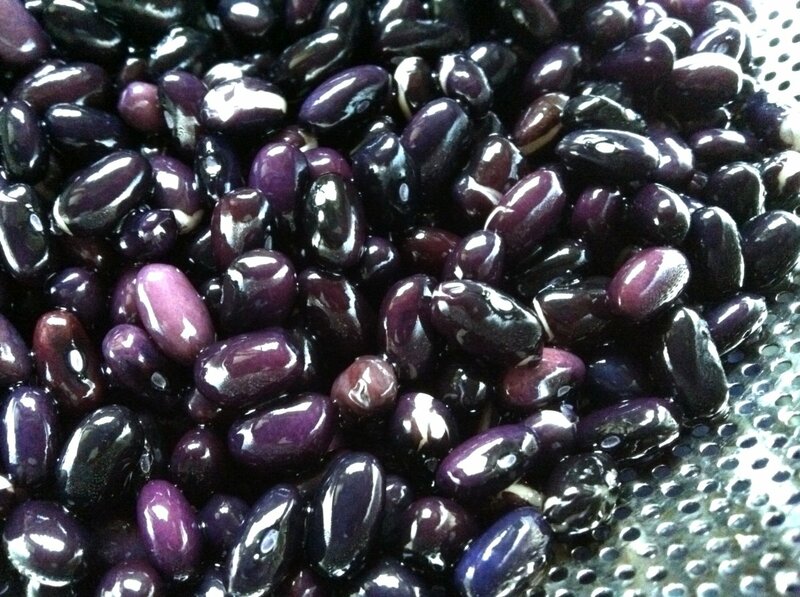 I especially like the aubergine color of the soaked beans. When beans are cooked to your liking, strain them from the cooking liquid. Either enjoy immediately or if you plan on eating them later, spread the beans on a large plate or baking tray to cool them quickly and evenly and halt the cooking process. Another option is a quick-soak method, especially if you weren't able to or forgot to soak your beans overnight. After sorting and rinsing, use the same ratio of 1:4 in terms of bean to cold water and bring to a boil. 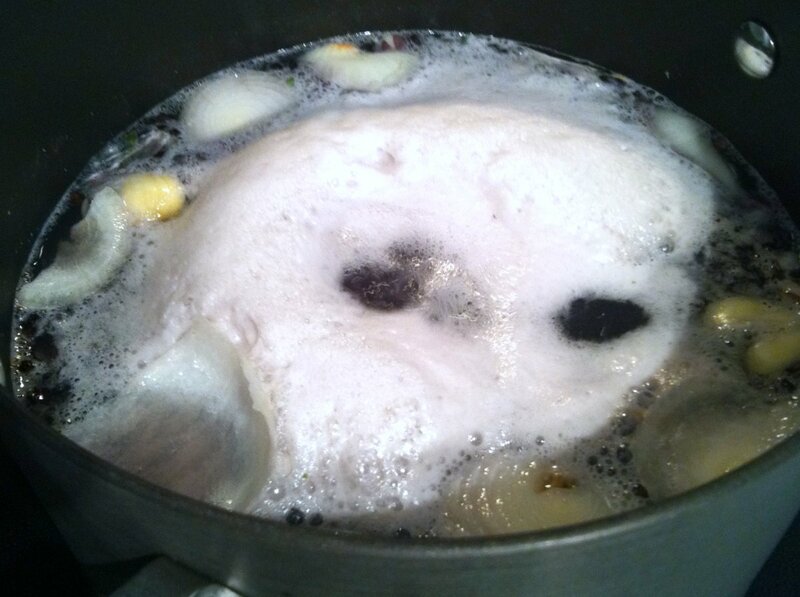 Allow to boil for 2-5 minutes, skimming any scum, and then cover and remove from heat source. Allow to sit for 1-2 hours. Drain and then resume cooking your quick-soaked beans as normal. I'm so glad that I finally figured out how to cook dried beans. And I'm even more happy that I have the opportunity to share with you what I've learned from several trials and many errors. Cooking your own beans saves energy, money, time, embarrassment when there's no whoopee cushion to be found, and it reduces packaging waste. The process of soaking and slow-cooking also makes the range of nutrients and health benefits within the beans much more accessible to our bodies. And who wouldn't want that? The holidays are fast approaching, and while beans may not necessarily be the first thing that springs to mind when one thinks of "holiday food," it's a staple for me and many others I know who have recreated certain traditions to better suit the ways in which we eat. At first, they intimidated me, too. But all the practice (i.e. inedible mistakes) has given me the confidence to buy dried beans more often than canned these days. 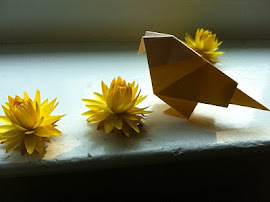 It's remarkably satisfying to cook them yourself - hope this post gives you the info/encouragement you need to do just that. I'm always to glad when I take the time to cook dried beans. And, there are so many more varieties available in dried form. Yours look perfect! Thank you, Lisa! I agree about variety being an advantage when it comes to cooking dried beans. When I walk down the bulk aisle, I have to practice serious restraint. So many beans, so much inspiration! Legumes!!!! 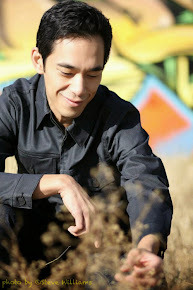 =) One of my greatest allies. I really haven't cooked black beans, red beans, soy beans or garbanzos from dry form in a while. I'm usually sticking with the smaller beans like a plethora of lentil varieties, mung beans etc. This makes me think I'll probably be making a lovely winter stew soon with some of the heartier beans =) I recently made a lentil soup in my slow cooker and it was really simple. I soaked my brown lentils overnight and then I added them to the pot along with another vegetable stock, a few cloves of garlic, whole peppercorns, sea salt, a teaspoon of cumin and let it work its magic. Delicious soup which I also enjoyed with some freshly cooked short grain brown rice and a sprinkling of Indian Moong Dal on top. To add a little fire and spice I added some garlic sriracha as well. Yum yum in my tum. I guess I'll have to make a formal post about it sometime soon. Anyway, it's good that you're sharing the tips. 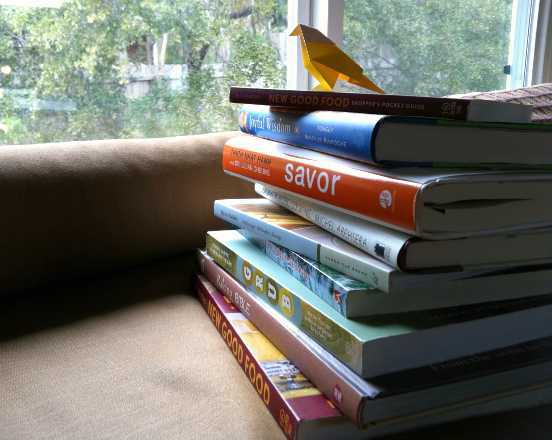 We all learn along the way and once we've figured it out; it opens up so many new doors.